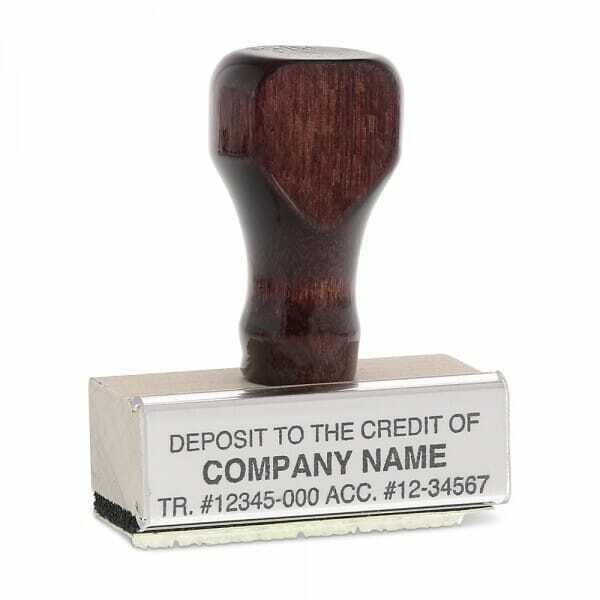 This stamp produces an impression, which is 1/2" X 2" and can accommodate up to two lines lines of text. Images, logos and text can all be added effortlessly using our online design wizard. Customer evaluation "Rubber Stamp - wood - 1/2" X 2" up to two lines"
Stamp turned out great & arrived far quicker than expected! A++!!!! Custom Engraved Sign/Wall Holder Complete- Traditional 2" x 10"